Jacksonville, FL -- THE Local Station is again Jacksonville’s No. 1 source for local news and swept all major news areas with viewers between the ages of 25-54. Morning News leads the way. News4JAX at 4:30 a.m. is No. 1, beating the combined competition’s A25-54 ratings. News4JAX at 5 a.m. is No. 1 in the time period with a 2.6 A25-54 rating, again beating the combined competition of WTLV, WJXX, WJAX and WFOX. At 5:30 a.m., News4JAX won with a 3.0, doubling the nearest competitors' A25‑54 rating. News4JAX at 6 a.m. is No. 1 with adults in the 6-7 a.m. time period, garnering a 3.2 A25-54 rating and a 19 share. The Morning Show (7-9 a.m.), anchored by Jennifer Waugh, Bruce Hamilton and Richard Nunn, is No. 1 in the time period with a 2.9 A25-54 rating and a 17 share, beating out all other newscasts, including the national broadcasts of NBC’s "Today" on WTLV, CBS "This Morning" on WJAX and ABC’s "Good Morning America" on WJXX. At 9 a.m., The Morning Show 2 beats "Today" with a 1.8 A25-54. News4JAX at 4 p.m. and "Inside Edition" take the time period with a 1.5 A25-54, topping Dr. Phil, Wendy Williams, Judge Judy and Ellen. In Evening News, News4JAX at 5 p.m. is most watched in the time period with a 2.3 A25‑54 rating. News4JAX at 5:30 p.m. is No. 1 in the time period with a 2.7 A25-54 rating. News4JAX at 6 p.m. anchored by Mary Baer, Tom Wills and John Gaughan is No. 1 with a 3.0 A25-54 rating and an 11 share. At 6:30 p.m., News4JAX beat out all network news with a 2.6 A25-54. The story continues in late news, with wins in The Ten O’Clock News at 10 p.m. and 10:30 p.m. WJXT is No. 1 at 10 p.m. with a 3.0 A25-54 rating and again at 10:30 p.m. with a 2.4 rating. News4JAX was No. 1 at 11 p.m. with a 2.0 A25-54, nearly beating both the WJAX and WFOX Action Newscasts added together. 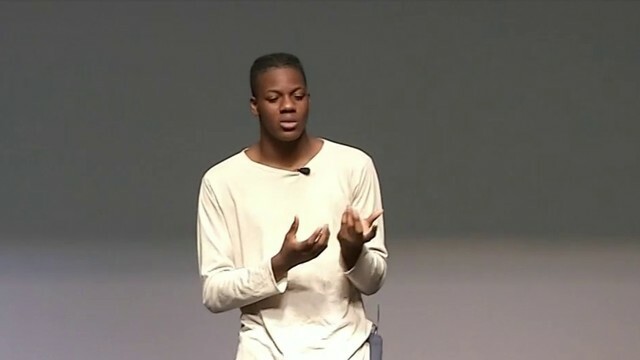 At the start of Savohn Thomas' senior year of high school, the Orange County, Florida teen found himself homeless and moving from one place to another. At times, he even spent nights at a bus stop. "Honestly, I didn't want to feel like anybody's burden," Thomas said. "It was a lot of times I wanted to give up. It was a lot of times I wanted to drop out." But he didn't. Thomas used his passion for poetry, acting and being on stage as an outlet. And he's talented: his craft earned him some pretty big honors. WKMG-TV learned about Thomas and his story, and wanted to help. Specifically, executive producer Tara Evans wanted to help. But it's safe to say, she had no idea just how much she could lend a hand. For a station that works hard every day to "get results," Evans certainly delivered. "Savohn is pretty extraordinary," Evans said. "I attended AMDA -- the American Musical and Dramatic Academy. And I knew that a girl that I graduated with still worked there. So I got in touch with her and I was like, 'Hey, you know, I've got this kid. He's going there, he's been accepted. So is it possible that maybe you could consider him for a work-study program? I think that would be really great. ... A few weeks later, his scholarship had been upped to what's called a director scholarship." And the scholarship had increased from $40,000 to nearly $150,000. Thomas came on News 6's morning show to do a live interview with the anchors and talk about his future, based on the life-changing news he had just received. "So, we were super excited, and I didn't really realize at the time, like, exactly why they decided to do that," Evans said of the massive scholarship increase. "And I was like, 'Oh, by the way, why'd you decide to give him the extra money?' And they were like, 'Oh, because of you. Because you sent us the story.'" At first, Evans said, she didn't want any of the spotlight or attention for what had transpired. "I was just doing something nice as a human," she said with a laugh. She had no idea the school would step up and cover four years of Thomas' schooling. Added Thomas, "This is everything to me -- literally everything. And I'm not going to let this slip away." "Not every day is always fun," Evans said of the job. "(But) this day -- those days, are what make what we do here worth it." Now, Thomas will go from walking nearly 20 miles to high school, to New York City. The musical "In the Heights" brought out his talent. It was on June 2 when Thomas' theater class performed at the Dr. Phillips Center for the Performing Arts -- a night Thomas said he'll never forget. "It was a total surprise," he said. "I did not know anything that was going on that night that I got it." Thomas is referring to becoming the first Applause Awards student recipient of the Pursuit of the Arts OCPS scholarship. Although Evans helped with the scholarship, Thomas got into AMDA on his own. "Even though I am scared, even though I am afraid -- because I've never been out of where I grew up, this means more to me because it gives me those dreams that I had as a kid," he said. It's back: Graham Media Group is announcing a new, eight-episode season of “Shattered,” an original true-crime podcast series. Season two, hosted by Kevin Dietz, takes listeners through the life of Richard Wershe Jr., aka “White Boy Rick,” the youngest-ever FBI informant-turned-drug dealer. Season two of the eight-part series, "Shattered: White Boy Rick," chronicles the series of circumstances that led the 14-year-old to become a valuable drug informant during the apex of the War on Drugs. Once the FBI and Detroit Police Department no longer needed Wershe’s information, he transformed into a drug dealer in his own right, only to be sentenced to life without parole when he was 17. Dietz, an Investigative Reporter with WDIV-Local 4 who has covered news in Detroit for almost three decades, takes listeners through the life of Wershe Jr. The series features extensive interviews with Wershe, law enforcement officials, former drug bosses, legal professionals who worked on the case, as well as family and friends of Wershe’s. The podcast is released in advance of the forthcoming Hollywood feature film, also titled “White Boy Rick,” starring Matthew McConaughey (who appears in the podcast, as well). Shattered: White Boy Rick premieres Sept. 6, 2018. The entire series will be available for free on Apple Podcasts, or your preferred podcast listening platform. We're proud to announce that High Rise – The Flood and Fury of Hurricane Irma premieres at 8 p.m. Wednesday, Aug. 29 on WJXT. The First Coast is no stranger to hurricanes, however, during Hurricane Irma, Jacksonville experienced record-shattering inland flooding. Narrated by News4JAX anchor Mary Baer, the hour-long documentary artfully weaves together stories from those who withstood Irma’s devastating effects. The compelling and raw recounting of events features never-before-seen footage, including the heartstopping moments as people react to the sheer magnitude of Irma’s force. With $50 billion in damage, Irma was coined one of the costliest and most damaging storms. It made landfall seven times, four of which were as a Category 5 hurricane. Despite such staggering numbers, almost everyone survived. In combination with The Weather Authority’s Chief Meteorologist John Gaughan and Richard Nunn, as well as News4JAX anchors, reporters and photographers, the gripping documentary reveals the jaw-dropping moments that changed the community. High Rise explores the cost of economic progression in a city prone to rising waters. As the natural disaster unfolds before viewers’ eyes, they are left with a powerful call-to-action about the necessity of preparedness. Equally riveting as it is emotional, High Rise – The Flood and Fury of Hurricane Irma, is not to be missed. One of the headliners of the upcoming Women in Local Media Summit, Catherine Badalamente, has been featured on the LMA website, discussing Graham Media Group’s commitment to gender diversity. Badalamente, GMG’s VP of Digital Media, is scheduled to speak at the inaugural event, aimed at tackling diversity and gender issues in the media industry in an honest, transparent and proactive way, LMA said online. Her session will be a part of the Media Transformation Conference, set for September. Graham Media has a great reputation for its commitment to gender diversity. Why has it been so important for the company? This culture has long existed in our company and leadership believes it is imperative to have a diverse group of people that allow for a diverse set of ideas, opinions and experiences. We need a diverse contribution from our employees in order to effectively serve our audiences. We must reflect the communities we serve. What does it say about the company that 60% of the senior management executives are women? This gender equality stat is something I am proud to be a part of. Unfortunately, this is rare in our industry. It starts at the top. Our President and CEO, Emily Barr, is known in the industry and beyond as being the ultimate mentor. She is always willing to spend time with anyone and everyone–giving advice, looking at career development and training opportunities and providing valuable connections. She sets the bar high. She also sets the tone for our company leadership to create and participate in programs that support the values of the company. Graham has an unique internal leadership program called, “Boss School,” where, according to Julie Dreixler, our VP and CHRO, it “helps to develop newly minted managers in a secure environment. Our company’s culture, philosophies and values are explained.” Graham Media also participates in and strongly supports programs like the Emma Bowen Foundation. Is there a tip or two you could share that you think could help other companies have more of a commitment to gender diversity? Hire great people that have diverse voices, ideas, skills and backgrounds. Don’t hire everyone to look and think like you do. Graham Media Group president and chief executive officer Emily Barr will speak at the NAB Show in New York this coming October. Barr will be featured at TVNewsCheck’s third annual TV2020: Monetizing the Future conference, along with three others: Jack Abernethy, the CEO of Fox Television Stations; Hilton Howell, the chairman, CEO and president of Gray Television; and Perry Sook, the chairman, CEO and president of Nexstar Media Group. Top executives of the four TV station groups will survey the state of the TV broadcast business and its major growth opportunities. The event will take place Oct. 17-18 at the Javits Convention Center. The NAB Show New York is where go-getters in media, entertainment, finance and advertising connect and champion new content strategies. Barr has sat at the helm of the broadcast TV division of Graham Holdings since 2012. Graham's seven stations are known as news leaders in Top-70 markets, including Houston, Detroit, San Antonio, Orlando, Jacksonville and Roanoke. 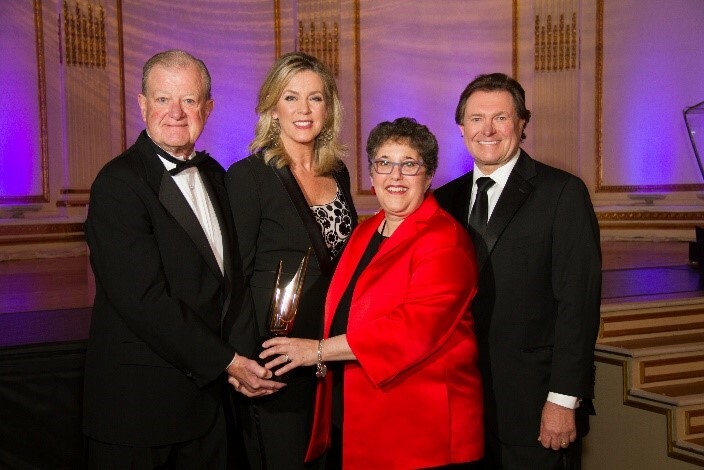 Earlier this year, Barr was presented with the Broadcasters Foundation of America's 2018 Golden Mike Award. CHICAGO (July 23, 2018) — In anticipation of the midterm elections, Graham Media Group is committed to deliver more in-depth political coverage. With journalists covering gubernatorial and U.S. Senate and House races in Michigan, Florida, Texas and Virginia, Graham Media Group’s stations are positioned to report on local races that have national impact. “There’s so much focus on the White House but governors and state legislators do much of the important public policy work in this country. It is our responsibility at the local level to cover local, state and federal elections actively and comprehensively across all platforms,” said Emily Barr, president and CEO. Each station has committed to reporting the issues and the candidates expansively in the months leading up to the midterm elections. · KPRC will once again partner with the League of Women Voters on Election Day for an all-day voter phone bank to field calls in English and Spanish from 6 a.m. to 7 p.m.
· Click2Houston has created an Election Day Voting Guide, Special Coverage section on the home page and AP Interactive Delegate Tracker & Election Maps. · Supersized in-depth reporting and analysis in newscasts and webcasts. 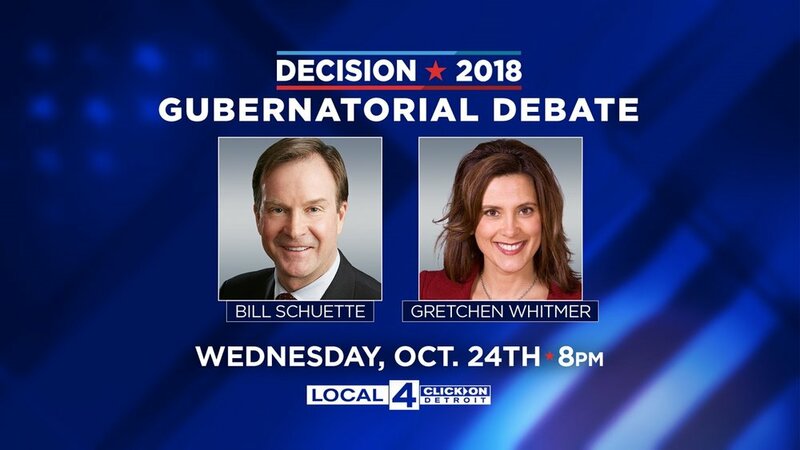 · Hosted the Republican Gubernatorial Debate with Michigan Republican Party on June 28 and the Democratic Gubernatorial Debate with the Michigan Democratic Party on July 19. Will also host a debate of the six Democratic candidates running to fill former U.S. Rep. John Conyers’ seat in Congress. The Democratic nominee will not face a Republican challenger in November’s general election. · WDIV launched Your Soapbox, a citizen engagement project that delves into the policy, election and civility issues facing our community. · 4 Minute Debates: Short head-to-head debates about ballot issues and policy. · The station’s Sunday morning political talker “Flashpoint” will go into the primary election having hosted in-depth interviews with all three Democratic candidates and the four Republican candidates for governor, as well as the two Republicans vying to unseat Democrat Sen. Debbie Stabenow in November. · The station dedicated 10 episodes of their Sunday “The Weekly” program to a variety of races and candidates including Florida governor, U.S. congressional seats and local mayoral, sheriff and school chair races. · WKMG will host two voter registration event days from 6 a.m. until 7:30 p.m. to help viewers register to vote. There will be volunteers from the local election boards on hand to answer questions and sign people up on the spot. WKMG will also do a digital Q&A throughout Election Day to help our viewers better understand the process. · On ClickOrlando.com, an online voter’s guide was created and regularly updated with new sample ballots, registration information for voters. · San Antonio is a hot spot for the border immigration battle and KSAT is tracking the political ramifications of the border story and how it plays into the election. · Even before the primary, the U.S. Senate race between incumbent Ted Cruz (R) and U.S. Rep. Beto O’Rourke (D) is the most expensive in the nation and KSAT is covering the race with diligence as well as the U.S. congressional district 23 race between U.S. Rep Will Hurd (R) and Gina Ortiz Jones (D). · The station is utilizing CNN RunningMate for additional coverage of races and political hot topics. · In partnership with Jacksonville University, WJXT is hosting a Republican debate on August 8 and Democratic forum for the gubernatorial primary races on August 9. · On “This Week in Jacksonville,” WJXT has been interviewing candidates in the statewide races for governor and attorney general. · News4Jax.com is compiling a special voter’s guide section complete with a candidates’ questionnaire on virtually every state and local office in the DMA. · WJXT is producing a one-hour election special the night before the general election in November. 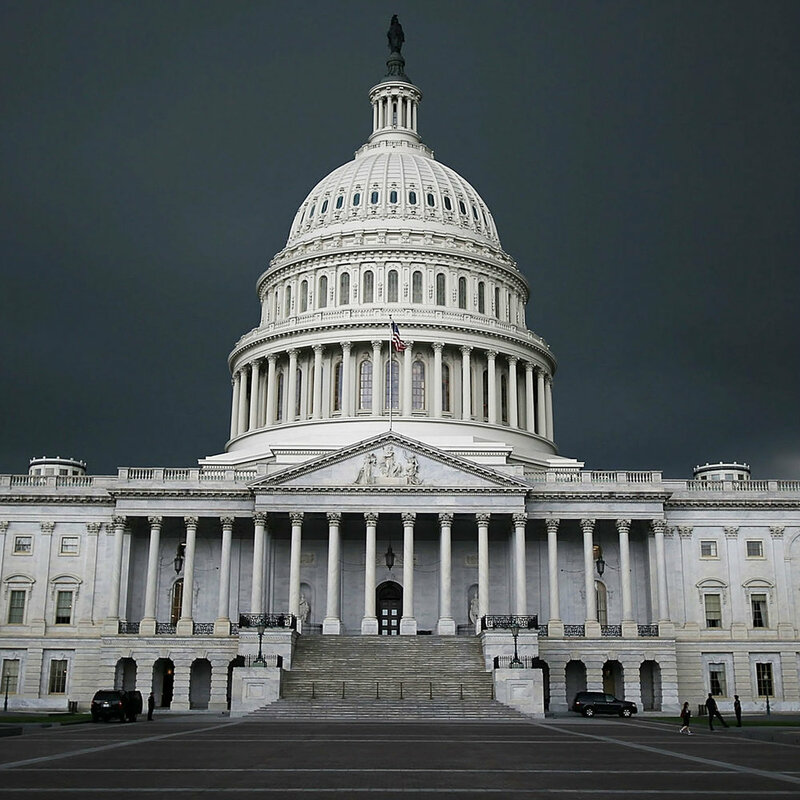 · Live streamed the highly contested U.S. Senate race between the incumbent and former V.P. candidate Tim Kaine and Republican challenger Corey Steward. On September 26, WSLS will air and stream the Chuck Todd moderated debate between the two candidates. · WSLS.com is producing a special 2018 election page. This page will contain information on all races, candidate bios, and voter information to assist viewers with getting to the polls. For nearly three decades, Graham Media Group has given candidates in high-interest races free airtime to speak directly and uninterrupted to candidates and that tradition will continue this fall after the primaries. “Voting is important but educated voting is key and that’s where local media plays a huge role,” Barr added. Seventy different companies from newspapers, TV stations, radio stations and digital news sites competed for the awards celebrating creative and business advancements in the digital realm. Graham Media Group received nine awards, the highest number out of all the competing companies. The faculty at the Medill School/Northwestern University judged the categories. ClickOnDetroit, WDIV-Local 4's website and a Graham Media Group property, once again took home top honors at the Local Media Association's Digital Innovation Awards ceremony. "Our main goal is to create a website users want to engage with. From news to entertainment and everything in between, we're constantly trying to provide what our ClickOnDetroit community is looking for," said Local 4 Vice President and General Manager Marla Drutz. This award recognizes the best all-around local media websites. Judges considered all aspects including: design, content (local and relevant), use of photos and videos, user interaction/load speed, presentation of advertising, mobile adaptability and more. Judges' comments"ClickOnDetroit.com is a superior local website that builds audience through news coverage as well as creative initiatives such as the 4Frenzy voting platform. Their entry provides evidence that the site has grown its audience substantially." The goal of this award is for a contest or promotion that stands out above the rest in regards to creativity of the promotion, digital engagement for the station and results for the sponsor. Judges' comments: "The strategy behind 4Frenzy is smart on a variety of levels. Positioning yourselves with TV, digital, social media and real-world shows the power of leveraging different channels to build your brand. A really great message behind the campaign." (Judges' comments) "WDIV discovered a new market opportunity in Ann Arbor by analyzing audience metrics." (Judges' comments) "This relaunch was successful in expanding the scope of the site, building audience and generating revenue. The design is good and matches the sports theme." (Judges' comments) "The 4Frenzy site is an interesting way to cover high school sports, since it puts a lot of focus on the friends and families who drive that coverage to vote for things." (Judges' comments) "A good way to retain broadcast audiences while growing digital audiences at the same time." "All of these winning projects were built on cross-department collaboration," said Dustin Block, digital executive producer for WDIV. "Our news, sales, creative services, and digital teams get together regularly to meet user and client needs, and to reach our business goals." In addition, the Local Media Association honored WSLS 10 in Roanoke with a first place in the Best Digital News Project category for its coverage of Friday high school football on wsls.com. KSAT 12 in San Antonio earned a 3rd place award for ksat.com in the Best Digital News Project category, while WJXT News4Jax.com was awarded the Best Native Content Campaign for their work with the Mayo Clinic in Jacksonville. Graham Media Stations WDIV, WKMG, WJXT and WSLS are honored with six prestigious regional Edward R. Murrow awards. 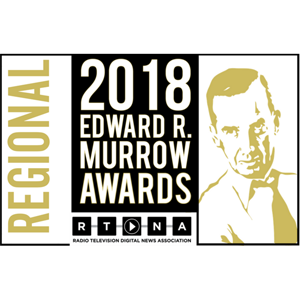 WDIV Detroit is honored to receive three coveted regional Edward R. Murrow awards for Breaking News, Excellence in Writing and Excellence in Sound. ClickOrlando.com, WKMG's website, received its first regional Edward R. Murrow Award for best large market TV website. WJXT Jacksonville has been honored with a regional Edward R. Murrow Award for Breaking News coverage of Hurricane Irma. And WSLS is honored with the regional award for Hard News. The awards recognize the best electronic journalism produced by radio, television and online news organizations around the world. 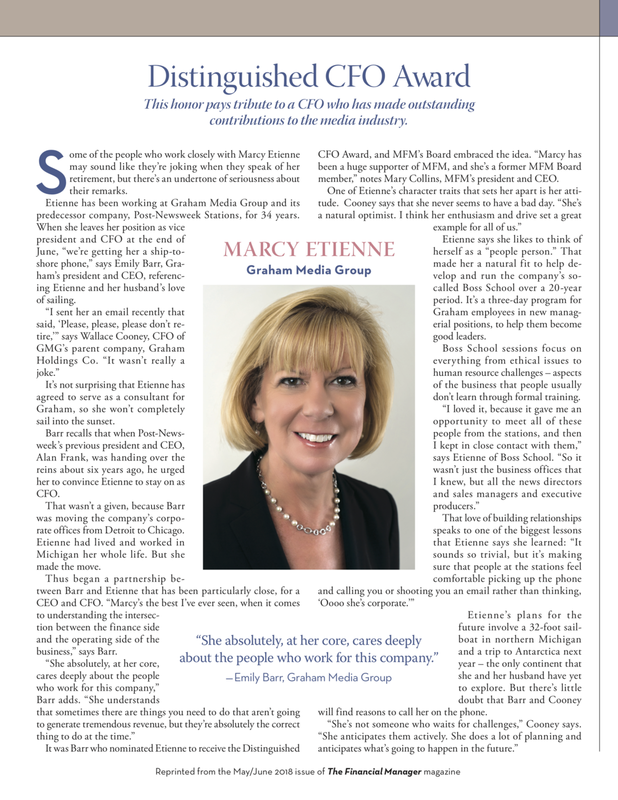 “It is especially gratifying to see the hard work and dedication of our local newsrooms recognized with such a prestigious award,” said President & CEO of Graham Media Group Emily L. Barr. Local 4’s coverage of the damaging winds across metro Detroit spanned across multiple newscasts and the station’s digital platforms. In-depth reports, continually advancing the story and keeping the community informed made this breaking news coverage a true team effort. News4Jax coverage of Hurricane Irma tracked the storm and stayed on all platforms until the life threatening danger passed. Coverage of the devastating flooding continued as viewers started to assess the damage and pick up the pieces. ClickOrlando.com features stories and digital content covering breaking news, politics, features, sports, space and entertainment in the greater Orlando area. 10News Reporter Angela Hatcher and Video Journalists Lee Friesland and Jeff Perzan told the dramatic story of a woman, desperate to escape from an abusive relationship. During an attempt to leave, she was stabbed and dragged through a wooded area. What the abuser didn’t know was that a deputy sheriff was on his way. WSLS captured the story via the deputy’s body camera. This was the first in a series of stories told by 10News. Two of the stories were from News Anchor Devin Scillian. One for the open to Local 4’s “Failure in Flint” special, the other was the report on Kim Adams’ battle with breast cancer. The third was Reporter Nick Monacelli’s story on Elliot Carter, the toddler with a rare condition that prevents him from eating food. Video Journalist Alex Atwell tells the story of Carl Nielbock, the man responsible for restoring parts of Detroit’s Fisher Building. Alex is known for his fabulous eye, but this time his ear won him the award. Now these entries go head-to-head with the other regional winners for the National Murrow Award. 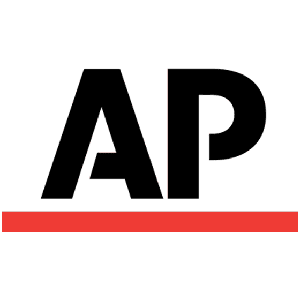 The Associated Press honored Graham Media Stations with several first place awards for WMKG, KRPC and WSLS. For the second year in a row, WKMG News 6 (CBS Orlando) won more AP awards than any other TV station in Central Florida, including the coveted Station of the Year award. "I am very pleased to see our team being recognized for their hard work and dedication to investigative journalism, compelling storytelling and commitment to highlighting people of Central Florida who are getting results for our community," WKMG News 6 news director Allison McGinley said. KPRC 2 (NBC Houston) was honored with the Associated Press award of best digital news website in the state of Texas for Click2Houston.com. It's the second time in the last four years that Click2Houston has won the Best Digital category in Texas. The judges comments about Click2Houston included, "Excellent digital presence on all social media platforms. Easy to navigate website. Nice interactive elements within stories." WSLS 10 News (NBC Roanoke, VA) is a winner of three first-place awards in the 2017 Virginia’s Associated Press Broadcasters contest. WSLS 10 News took home first place awards for outstanding sports operation, best website and community service. Graham Media Group president and chief executive officer Emily Barr has received the Broadcasters Foundation of America's 2018 Golden Mike Award. Barr was presented with the award at a gala event on March 5 in New York City. "It is an honor to receive this award from the Broadcasters Foundation of America, and I am grateful to the board for their commitment to our colleagues in need," Barr said earlier when the award was initially announced by the foundation in November. "This year, the Broadcasters Foundation rose to the challenge of helping so many of our colleagues who were impacted by hurricanes, floods and wildfires. With the generous support of broadcasters across the country, the foundation can continue to make a difference in the lives of those who find themselves in devastating circumstances." Graham Media Group was named 2016 Station Group of the Year by Broadcasting and Cable Magazine, under Barr's leadership. The gala event, held at the Plaza Hotel in New York City, was hosted by Deborah Norville of "Inside Edition." Presenters included Don Graham, the chairman of Graham Media Group's parent company, Graham Holdings Co.
Organizers said $250,000 was also raised at the event to help broadcasters in need. Organizers said previous Golden Mike Award recipients include former Post-Newsweek Stations president and CEO Alan Frank, Bob Pittman, Gordon Smith, David Barrett and Jeff Smulyan. 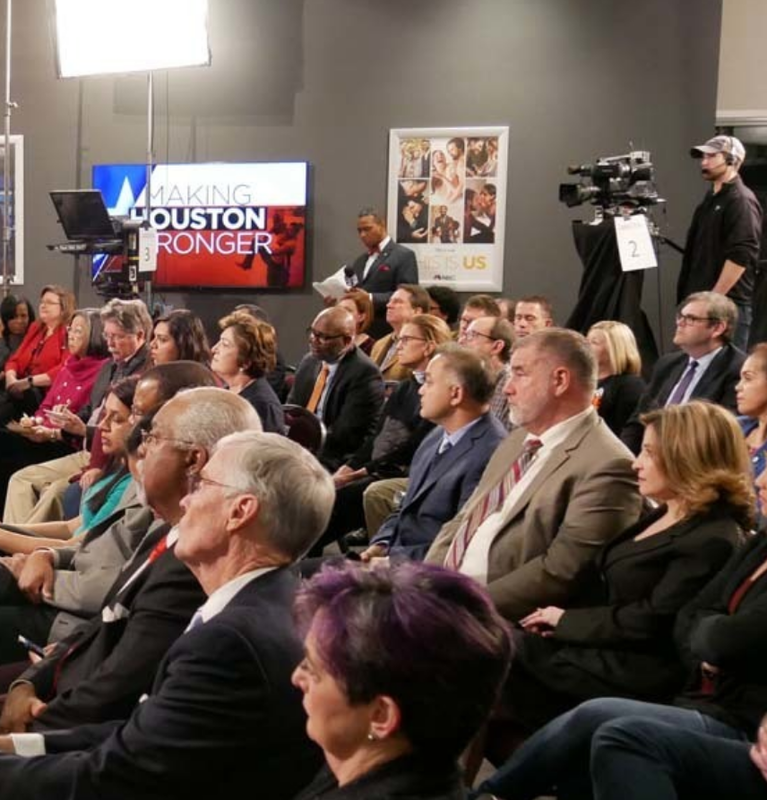 KPRC hosts "Making Houston Stronger: A Town Hall on Rebuilding Our Region"
KPRC hosted "Making Houston Stronger: A Town Hall on Rebuilding Our Region," a special live televised event on January 29, 2018. KPRC 2 Anchors Bill Balleza and Dominique Sachse were joined by Houston Mayor Sylvester Turner and Harris County Judge Ed Emmett to discuss lessons learned and the progress that's been made in the months since Houston was plagued by several major flood catastrophes, including Hurricane Harvey. The special was executive produced by Steve Ljuljdjuraj and aired on KPRC Channel 2. It was also streamed live on Click2Houston.com, the KPRC 2 YouTube Channel and the KPRC 2 Facebook Page. The morning on Martin Luther King Jr. Day, the sound of power tools filled the air at Jacksonville's Lake Forest Elementary as volunteers teamed up to build a new playground for the students. Martin Luther King, Jr. Elementary, the civil rights pioneer's namesake, also received a facelift. That included a fresh coat of paint in the cafeteria, in addition to some new landscaping out front. The efforts were part of the 2018 Martin Luther King Jr. Day of Service, an annual event that brings together hundreds of people from across the city to spruce up schools and neighborhoods. Members of the WJXT's News4Jax team got in on the action, too. The Morning Show crew grabbed some brushes and buckets to help paint a mural downtown. Not to be outdone, the night shift crew helped stuff backpacks with books and school supplies, then gave them away to children in need in Northwest Jacksonville. "It makes me feel proud," said Walter Williams, who pitched in at Lake Forest. "Not only seeing the playground come to life, but seeing the community come out and everybody putting their helping hand in together." Williams wasn't alone. He had help from people of all ages, and from all walks of life, who turned out to lend their help with a variety of community projects. "When they come to school and see this new playground we built, they're going to be really surprised," said Isaac Fagundes, a 12-year-old who pitched in at Lake Forest. KSAT12's community-wide initiative, called "KSAT COMMUNITY" uses the power of its media properties to promote local initiatives which will help the greatest number of South Texas residents all year long, it was announced by KSAT12 Vice-President/General Manager Phil Lane. "We're thrilled to welcome our new partners and are so thankful for our past partners as well", said Lane, "we intend to continue growing our program to help those most in need." The very first KSAT COMMUNITY project of 2018 will be a city-wide blood drive, with University Health System and the University Hospital Blood Bank. This huge blood drive always draws hundreds of local residents who answer the call. Because blood has a short shelf life, the need is continually on-going as blood banks must supply blood for everyday surgeries and emergencies, as well as for bigger local emergencies. The 2018 KSAT COMMUNITY Blood Drive will be held for 4 consecutive days, January 22nd -25th, at 3 different locations: Texas Diabetes Institute 701 S. Zarzamora on Tuesday, January 23, 10am-2pm, Southwest Clinic at 2121 SW 36th Street, Wednesday, January 24th from 11am-3pm and UHS at 4502 Medical Drive, Jan 22nd, 23rd ,24th and 25th. Subsequent KSAT COMMUNITY events include a "Healthy Heart" online test, the "San Antonio Book Festival", a school supply drive, a Shred Day, and many others throughout 2018. All 3 partners, UHS, Energy Transfer Partners, and San Antonio Area Chevy Dealers will also have the ability to spotlight community initiatives that meet with their company goals, and assist the events they support throughout the community.